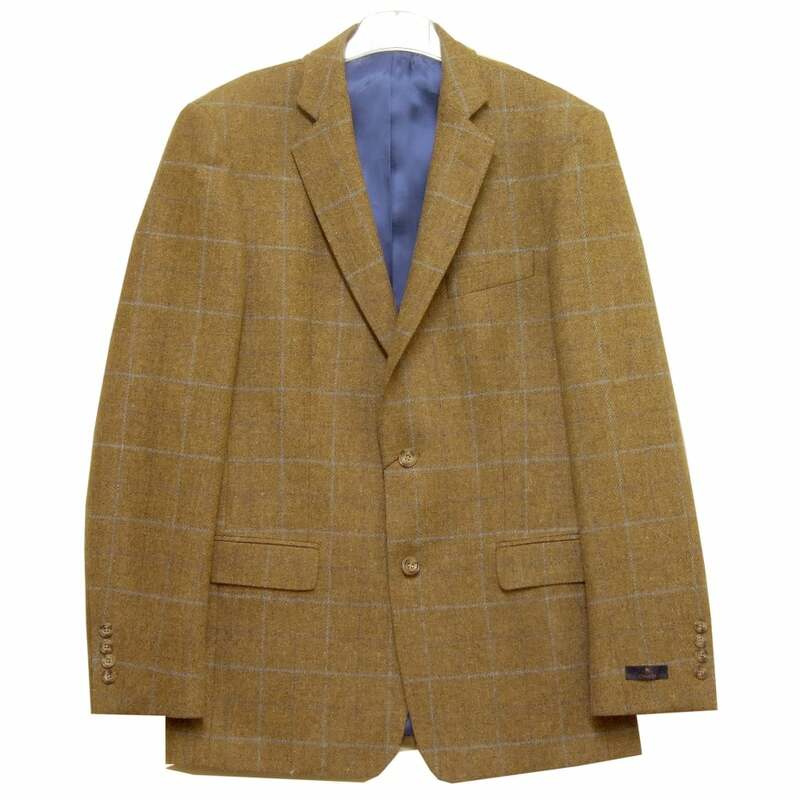 Magee Sports Jacket 53620, Tan Check, Regular Fit, Wool Tweed. Tailored sports jacket, regular length, notched lapel, button closure, two rear vents, four button cuffs, two pockets with pocket flaps, chest pocket, four interior pockets, in a tan brown wool tweed, mixed fabric lining. Shell 100 percent wool, lining 100 percent viscose.